In two days, renowned MMA fighter Conor McGregor will be celebrating his 30th birthday on 14 July. While many can only dream about having oneself immortalized in stone, McGregor is literally living the dream with a newly chiseled gift by fan and artist Edgar Askelovic, more commonly known as Aspencrow. 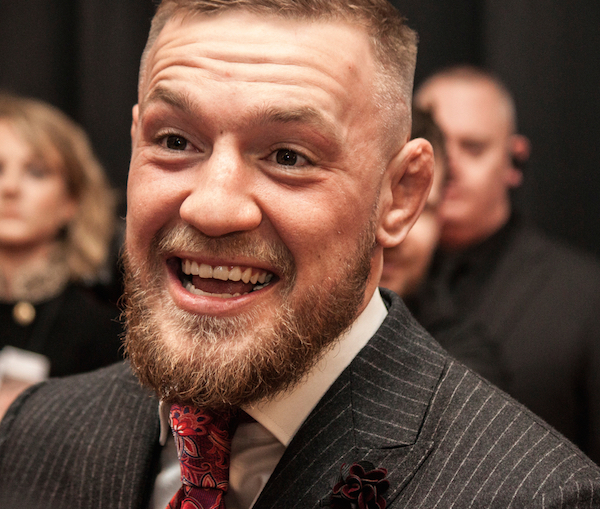 The Lithuanian carved the “hyper-realistic” sculpture called ‘Atlas’, which weighs 100 kilograms and is valued at £50,000 (US$66,090), over a period five months, based solely on photographs of McGregor. ‘Atlas’ shows the former UFC featherweight and lightweight victor enshrined in solid rock, hinting that the fighter could be a prisoner of his own fame and infamy. Though Askelovic has neither spoken to nor met McGregor personally, the artist received word through one of the fighter’s friends that McGregor is aware of the sculpture and has accepted the birthday gift. The artist intends to create two more versions of this art piece—one for sale and the other for a future exhibition. ‘Atlas’ will go on display at London’s JD Malat Gallery from 14 July to 30 September.